Yesterday evening might have been wet and warm, but tonight will be very cold and dry. As the low pressure system is replaced with high pressure, westerly winds are bringing cold air into the region. 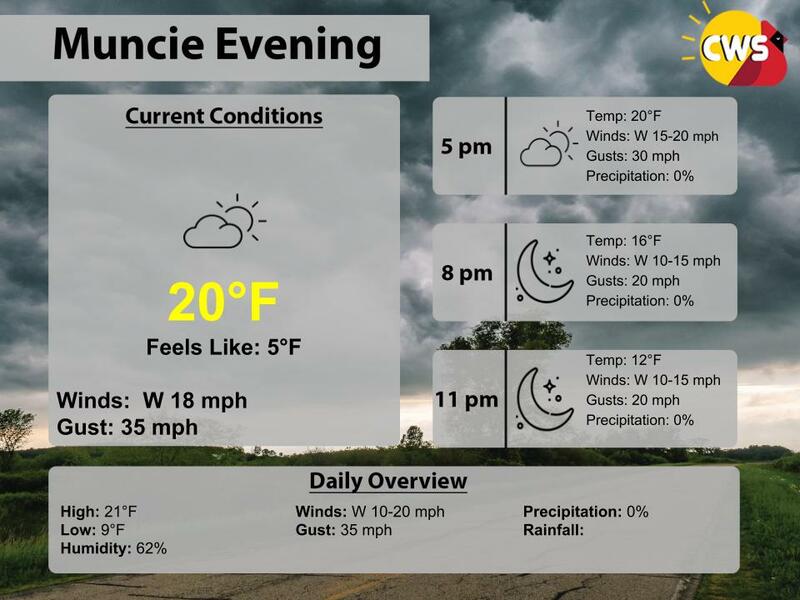 As of now, temperatures are in the low-20s, with skies being partly cloudy. But as we head into tonight, they will plummet to the low-teens. With winds between 10-15 mph sustained throughout the evening hours, expect cold wind chills close to 0 degrees. Definitely wear something warm for tonight.